Vitalik Buterin, co-founder of Ethereum, left Fenbushi Capital to focus on his network. He hopes that 2018 can be a year of “taking action”, which will allow developers to meet the growing expectations of users. As reported by TechCrunch, Buterin was a partner at Chinese investment company Fenbushi Capital – he is still listed as such on the latter's website. He would probably have played a role in many of his investments, whether they were linked to blockchain service companies or ICOs. From now on, he will only have an advisory role for the company, and will be able to devote himself full time to Ethereum. To justify his choice, Mr. Buterin evokes the interest – and therefore expectations – growing vis-à-vis applications related to blockchain technology. 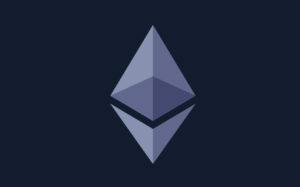 For 2018, the young developer is determined to help Ethereum cope with its popularity. On the program, the implementation of solutions that would allow the network to “scaler” (in order to cope with a million daily transactions) – but also the transition from a Proof-of-Work protocol to a protocol Proof-of-Stake. “In 2017, the interest around crypto-currencies, especially the financial and ‘social' interest, far exceeded the reality of what current blockchain systems are able to offer. There is a lot of attention, and many pressing expectations. However, from a concrete point of view, the operability of blockchains has in some cases decreased, due to the rise in transaction costs. I expect 2018, at least on Ethereum's side since I'm in the best position to talk about it, to be a year of action. It will be the year in which all the ideas around scalability, Plasma, Proof-of-Stake, and confidentiality that we've worked hard to work on and refined over the last four years will finally come to fruition. They will be realized in code in operation, that it will be possible to use in a very advanced form – in some cases, on ‘testnets', and in other cases on the public ‘mainnet'. Last month, while the valuation of all crypto-currencies had exceeded 500 billion dollars, Mr. Buterin had wondered if it had been truly “deserved” by the current blockchain networks. Through a series of tweets, he had discussed different reasons why this ecosystem still had everything to prove. In particular, he explained that this technology has not yet helped significantly to help depressed populations, to protect Venezuelans from hyperinflation, or to design dApps that would be used in a ” substantial “. Moreover, even if these issues could soon be resolved, Bitcoin has to face considerable transaction costs and delays. For its part, the Ethereum network sometimes struggles to respond to the craze it arouses – when launching some ICOs, or the arrival of a popular application such as Cryptokitties. Most digital currencies soared in 2017 – both in terms of price and popularity among investors. Yet, at the same time, the concrete applications of these technologies are still limited. But we are only at the beginning of the exploitation of a promising technology – a technology that could, for many observers, radically transform the way our societies operate.